FCA works tirelessly with the goal of creating the most eye-catching, exhilarating vehicles on the road. Check out our inventory! If you want to enjoy the perks of owning a: Chrysler, Dodge, Jeep, or Ram, but are shopping on a budget, come shop our selection of used cars for sale. It is no less than a dream to own a new vehicle. Apply for pre-approval online or in-person at our finance department. See what we can offer you. When you own a Mazda, you see the road and driving differently. Driving becomes part of you, just like it’s become a part of us. With a Certified Pre-Owned Vehicle (CPOV), you have far more than just a “used” vehicle. You have confidence, pride and a vehicle that you can trust. You’re Certified. 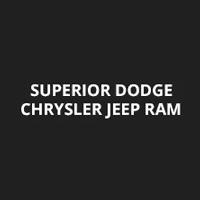 Thank you for making your way to Superior Dodge Chrysler Jeep Ram Of Northwest Arkansas, your certified Chrysler, Dodge, Jeep, Ram dealer serving drivers throughout Siloam Springs and the surrounding areas. At our dealership, you’ll find a solid selection of new Chrysler, Dodge, Jeep, Ram for sale, as well as a carefully inspected lineup of pre-owned vehicles. We also have a well-connected finance center run by a qualified team of finance experts, who can help you get the right loan or lease in a quick, easy, and transparent manner. Our commitment to our customers continues well beyond the date of purchase. We also have a professional team of Chrysler, Dodge, Jeep, Ram technicians on hand with the skills and equipment to handle all manner of maintenance and repairs, as well as a full stock of authentic parts. Make your way to Superior Dodge Chrysler Jeep Ram Of Northwest Arkansas in Siloam Springs today for quality vehicles, a friendly team, and professional service at every step of the way. And if you have any questions for us, you can always get in touch at 479-282-1620.